Joe Oliver says we’re not heading into a Canadian housing bubble; others disagree. The debate goes on. 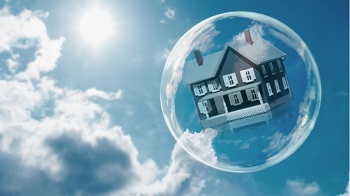 However, the International Monetary Fund says that there is a global housing bubble which must be tackled through tighter regulation of lending. Speaking to Germany’s Bundesbank yesterday, the IMF deputy MD Min Zhu said that rising house prices are a significant threat to the global economy and called for governments to do more. Zhu said that tightening lending requirements and putting greater capital requirements on mortgage lenders is required, along with restricting access for foreign investors to overheated markets. The IMF Global Housing Index shows that prices are 23 per cent above where they were in 2000 and 3.1 per cent up on last year.